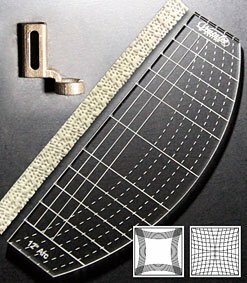 You will need to have us order you the correct "ruler" foot for your brand and model of machine. We will us Westalee Sampler Template Set 1. It has 6 templates in the package. If you have other brands of templates you may use them but I will be teaching from the Sampler Set 1. Please sign up and order early so supplies are in stock in time. This is a practice class - come have fun and experiment. Don't worry non of us are perfect. Bring your manual for your machine.